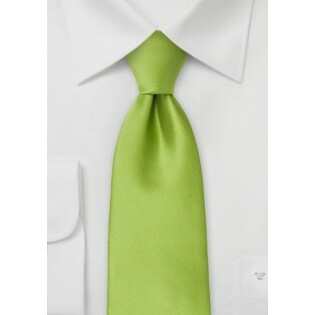 Have a look at this bright green tie! It is a perfect choice for the spring and summer. The bright lime-green color is further emphasized by the sheen of the solid and simple design. This tie is also available in normal length. To match this tie we suggest suits in tan, navy, or any shade of gray. 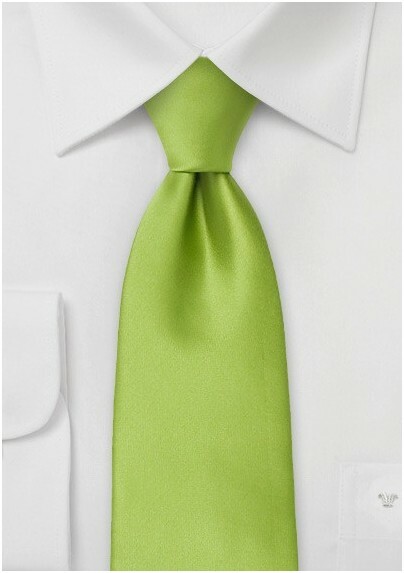 It is a perfect summer tie that, although bright in color, suits any office dress code. Made from care-free microfiber by Puccini.